Our experienced ISO 9001 Consultants in Bangalore, Inzinc Consulting India ensure that organizations successfully establish, implement, maintain and continually improve the Quality Management System as per the ISO 9001:2015 standard requirements. ISO 9001 is a Quality Management System standard developed by the International Organization for Standardization (ISO). The ISO 9001 standard specifies the requirements for establishment, implementation, maintenance and continual improvement of a quality management system. Any business can get certified to the ISO 9001 standard irrespective of its size, type, nature and complexity of business. The latest version of the ISO 9001Quality Management Standard is the ISO 9001:2015 standard. This version has cancelled and superseded the earlier version which is the ISO 9001:2008 standard with effect from 15th September 2015. Our competent ISO 9001 Consultants in Bangalore can assist businesses in smooth and effective transition from ISO 9001:2008 to ISO 9001:2015 standard. 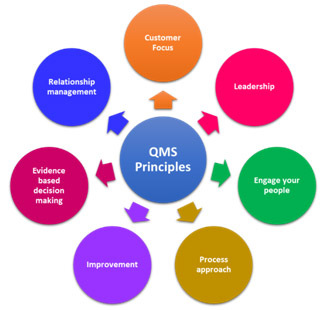 A Quality Management System (QMS) is an integrated system of various business processes aimed at the achievement of quality policy and quality objectives to meet customer requirements and achieve Customer satisfaction. 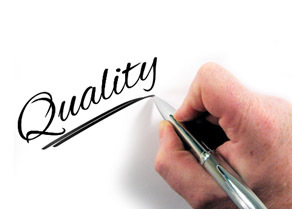 Quality Management comprises of the organizational structure, policies, procedures, processes and resources required in order to implement quality management. 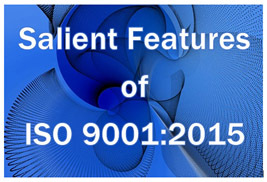 Our ISO 9001 Consultants in Bangalore will ensure effective implementation of QMS elements in your esteemed organization. Our ISO 9001 Consultants in Bangaloreshall guide our esteemed clients in utilizing these seven quality management principles while implementing the ISO 9001:2015 standard. The emphasis on “system” instead of “persons” will help organization run smoothly and effectively in the absence of persons or in cases where new persons have taken over functional responsibilities. ISO 9001 puts emphasis on organizations to become “system-oriented” rather than “person-dependent”. Customers and other interested parties recognize that you are a system-orientedorganization and the trust factor gets enhanced. Systematic implementation of ISO 9001 ensures improved operational consistency and fewer defects / errors which lead to better quality products or services. The better quality of products and services provided consistently to the customer helps improve Customer Satisfaction which gives way to more business from the customer. Enhanced Productivity, efficiency and effectiveness due to which savings on resources is realized bettering the profit margins. With proper ISO 9001 system establishment operational wastes are reduced. 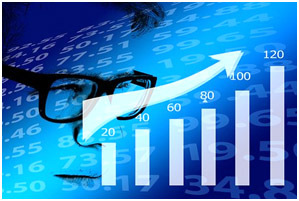 This reduces operational cost for the organization. ISO 9001 puts a solid foundation to realize small step by step improvements called “continual improvements”. Getting certified to ISO 9001 brings in Global recognition and help organizations qualify for the Global supply chain. ISO 9001 helps organizations to counter the competitionparticularly with competitors who do not have a sound quality management system in place. Working in a system based environment improves the pride and the morale of the employee. With proper implementation of QMS, our ISO 9001 Consultants in Bangalore will help realize the above benefits for your Organization / Institution. The 2015 version of ISO 9001 has a common higher-level structure and text with the intent to make integration with other management system standards easier. For instance, it is easier to integrate ISO 9001 with ISO 14001, ISO 27001 since each of these standards have common text with the same common 10 clauses. Risk based Thinking: The ISO 9001:2015 version gives more importance to risk based thinking. It emphasizes on a risk-based approach. Risk will be integral to the entire quality management system. Preventive action from ISO 9001:2008 has been replaced by risk management and planning. Our ISO 9001 Consultants in Bangalore ensure that our clients apply Risk based thinking effectively to their processes. ISO 9001 Documentation: The requirements of the ISO 9001 2015 version are less prescriptive. For instance, instead of the explicit need for traditional documentation like a quality manual, it suggests for a more flexible documented information. However, this does not imply that organizations who currently have a quality manual need to change or discard. They can still retain old practices as “best practices” if it helps them. It is only that the flexibility of documentation is increased, where relevant information can be retained and can be made available when needed. This makes it more flexible for service-related organizations. The concept of Context of the Organization requires that the organization while determining its environment should not only consider customers, employees and suppliers, but also those who get affected by their operations for instance the communities in which they operate or may have significant influence. Organizations must now establish internal context and external context and identify the issues related to the internal and external environments. Organizational Knowledge is a great feature of the ISO 9001 standard. Organizations will now have to collect (and if possible document) the knowledge gained by individuals, project knowledge, experience notes, process improvement points,etc. This will enable the organizations to function even when a key resource leaves the organization. The knowledge can be made available to individuals on a “need-to-know” basis and to the extent required. Our competent ISO 9001 Consultants in Bangalore will make sure that the above features are well understood and successfully implemented by our client organization. 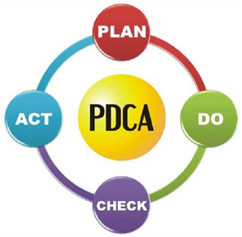 PDCA (Plan-Do-Check-Act) is an iterative tool / methodology for continual improvement of processes / systems in an organization. Our experienced ISO 9001 Consultants in Bangalore shall employ the PDCA methodology wherever practical while implementing the ISO 9001:2015 Standard requirements. Our capable ISO 9001 Consultants in Bangalore shall ensure that the above clauses are implemented properly in our esteemed client organization. Organisations who are certified to the ISO 9001:2008 version shall undergo transition to the ISO 9001:2015 standard since the 2008 version is now not valid for certification purposes. Our team of ISO 9001 Consultants in Bangalore provide value-added consultancy services that enables smooth and effective transition from ISO 9001:2008 to the new ISO 9001:2015 standard. Our Expert ISO 9001 Consultants in Bangalore will ensure a smooth transition from the earlier ISO 9001:2008 standard to the ISO 9001:2015 standard by providing you a transition plan and ensuring the transition is complete in a timely and result-oriented manner. Our specialized ISO 9001 Consultants in Bangalore provide the necessary training, implementation guidance and documentation support to our clients so that the establishment of ISO 9001:2015 is a smooth ride.